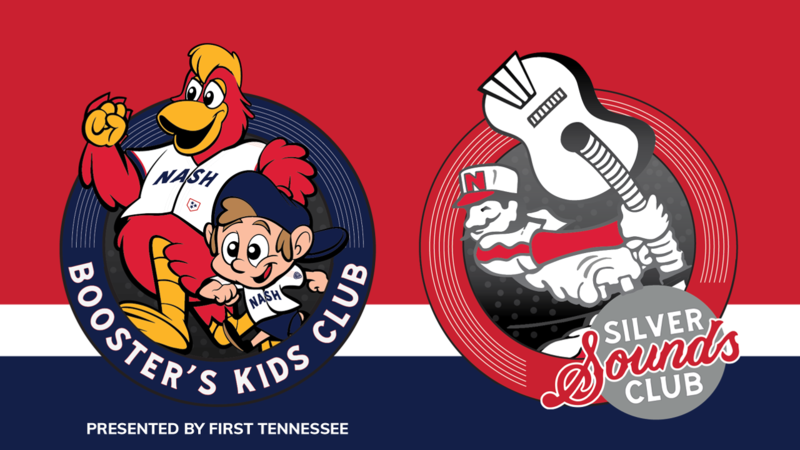 The Nashville Sounds announced today the return of two popular fan clubs for the 2019 season - Booster's Kids Club and the Silver Sounds Club. Booster's Kids Club, presented by First Tennessee, is for children ages 12 and under. The $25 membership includes six general admission tickets to be used for any of the Sounds' Sunday home games, 10 Fun Zone vouchers, a baseball beach ball courtesy of First Tennessee, a Booster's Kids Club T-shirt, a Sounds Remastered sticker and a 10% discount at the Sounds Pro Shop. For more information and to purchase a membership to Booster's Kids Club, click here. The Silver Sounds Club is for adults ages 55 and older. The $25 membership includes three pairs of Select Section tickets to any Sunday-Wednesday home game, a Silver Sounds Club T-shirt and a 10% discount at the Sounds Pro Shop. For more information and to purchase a membership to the Silver Sounds Club, click here. To order a membership for Booster's Kids Club or the Silver Sounds Club, call 615-690-HITS, e-mail tickets@nashvillesounds.com, or click on the above links.